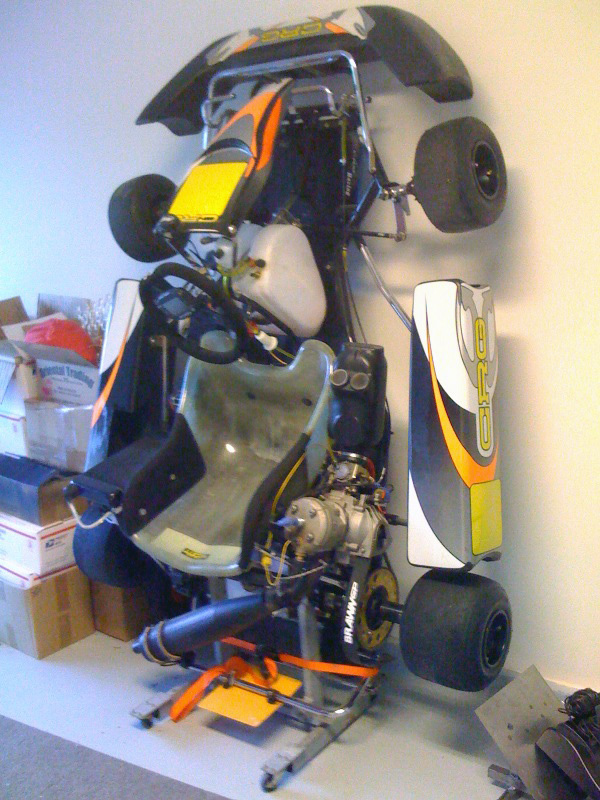 I just added a new section with some documents from when I had a CRG Road Rebel TaG kart a few years back. Karting is just about the perfect motorsport to me: it’s quite minimalist, and it comes at you FAST. How else you going to go racing while living in a condo? 🙂 A Harbor Freight fold-able trailer, vertical storage stand, and an old station wagon did the job well. Note the killer ‘Brawn GP’ sticker on the chainguard. That would set this pic in ’09. The first thing I’m posting is a repair guide for the Parilla Leopard engine that powered mine.